At the northeast corner of Hayward Field on the campus of the University of Oregon, there’s a structure that includes a stadium seating area, some impressive graphic displays that provide great history about past UO track and field coaches and athletes, and some well-placed landscaping throughout. Upon entering the facility, fans walk under an impressive, elegant arch bearing the name of this much admired - especially by us locals - track and field venue. 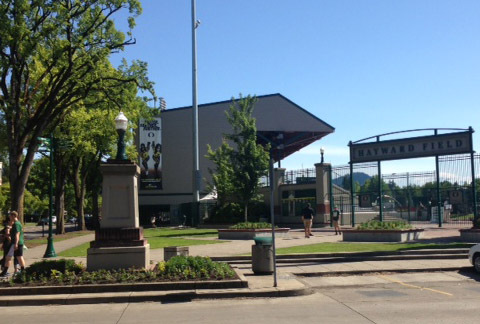 This corner of Hayward Field is proudly named Powell Plaza. Completely in line with the architecture true to the rest of this iconic U of O athletic facility, Powell Plaza gives students and visitors a reason to pause and admire this outstanding campus landmark. I have to admit twenty or so years ago, living in Los Angeles, I knew very little about Eugene, Oregon. Yes, I was aware that the U of O was here, and that one of my all-time favorite movies ever, Animal House, was actually filmed near campus, but after that not much else regarding Eugene was on my radar. Except, however… I did know all about Hayward Field and its history, largely due to the reputation of its track and field program. 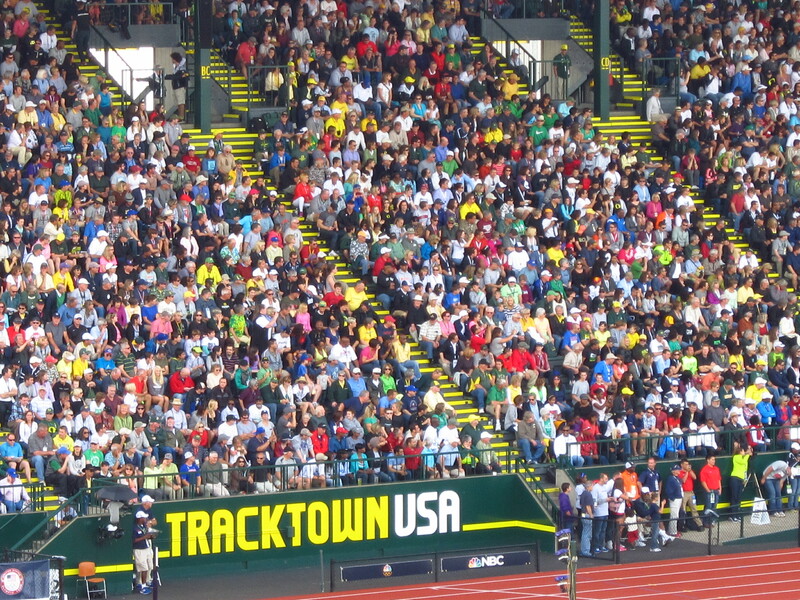 Recently Eugene played host, as it does every June, to the Prefontaine Classic. The Pre, as it’s most commonly referred, offers that rare opportunity to see a large number of incredible Olympic and world class athletes compete at a level unequaled - except maybe at the Olympic Games itself. It really is a unique chance to witness some of the best track and field competition of its kind. It’s an event that this area is immensely proud of and fans from across the country travel far and wide to attend. Besides seeing these phenomenal athletes, and outstanding competition, it’s also a unique opportunity to say, “I was at Hayward Field and saw the Prefontaine Classic”. Now imagine you had the Pre on a Sunday, and literally three days later the same city and facility played host to another major track and field event. Go ahead… just try and imagine it. Give up? Well, June 2-8 our very own Eugene, Oregon did just that. 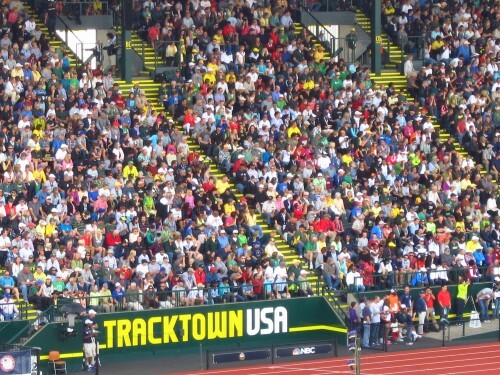 Not only was there the annual Pre Classic, but Eugene and the U of O had the honor of also hosting the 2013 NCAA D1 Men’s and Women’s Track and Field Championships. Hundreds of collegiate student athletes and their coaches ascended on Eugene to compete in their most prestigious and important event of the season. Add thousands of excited fans and absolutely picture perfect weather during the entire competition, and you have what was a truly amazing week of track and field. I don’t think it mattered much if you were a fan of track and field or not - you had to appreciate the excitement and splendor of these two great events happening back to back all within a span of eight days. Toss in the excellence of the facilities at Hayward Field and the outstanding weather… it’s hard to imagine it getting any better. It’s almost like being at an all-you-can-eat dessert buffet. Which if you haven’t, you need to! Watch for Mike’s Part 2 post with background on the Powell family! About the author: A way over the top sports enthusiast, Mike is the Sports Sales Manager at Eugene, Cascades and Coast Sports. Arriving in Eugene by way of UCLA, Mike manages to keep his Bruin identity even in Duck country. 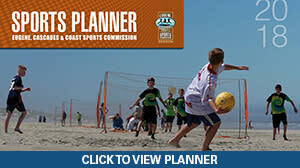 When those rare free moments in his schedule do occur, Mike enjoys running, swimming, and almost any kind of activity or competition that breaks a sweat.